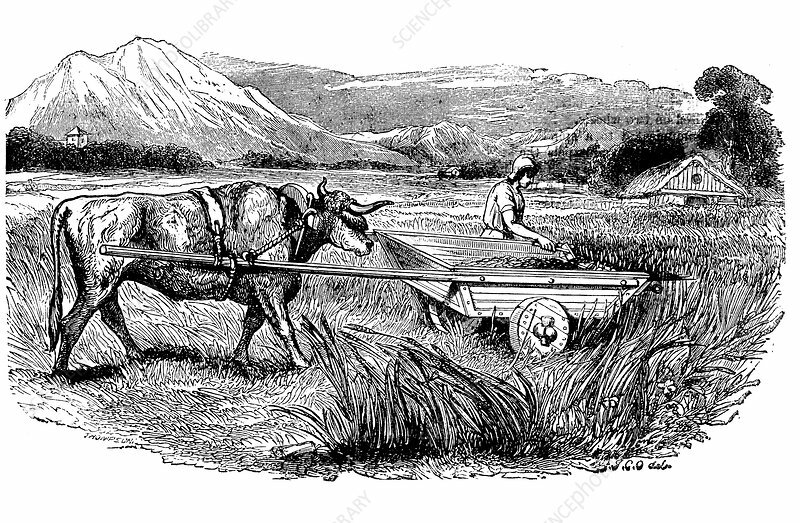 Reconstruction of Roman reaping cart, as described by Pliny. Engraving, 1860. Aristotle believed that motion was a continuous pushing action, and that objects could only travel in a single direction at any one time, that is, in straight lines, not arcs.